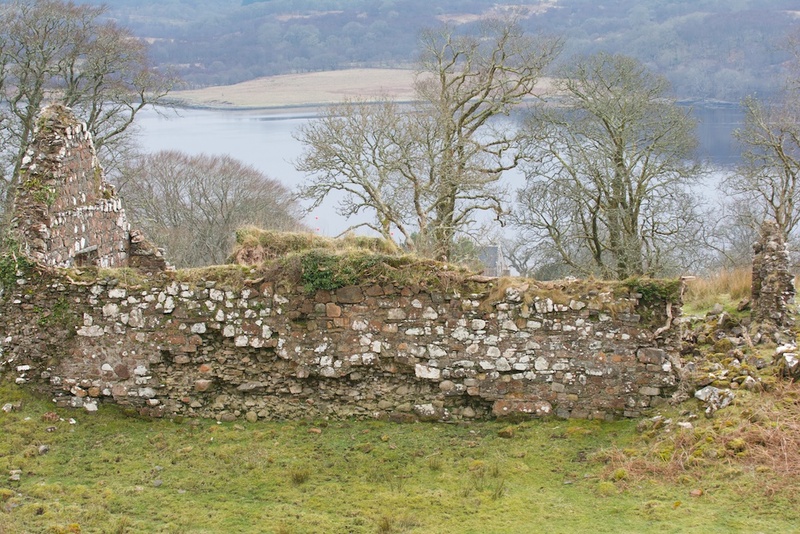 A couple of years ago I wrote about the wonderful old Priory at Ardchattan, on the shore of Loch Etive in Argyll. In March this year we went there again. It was the week before Easter, and slightly earlier in the season than our last visit: the first primroses were out, and but the daffodil buds were still tightly wrapped against the chilly breeze. We didn’t go into the Priory itself, but instead we went through a gate into a field and headed up the hillside, past some cows that were idling the afternoon away, and along the side of a burn until we came to a small ruined building. This was once a church, dedicated to St Baodan. This simple little building must have a long history, but most of it remains deeply hidden. It is thought to date from the 15th century, and may have fallen out of use sometime in the mid-1600s, but no one knows for sure. 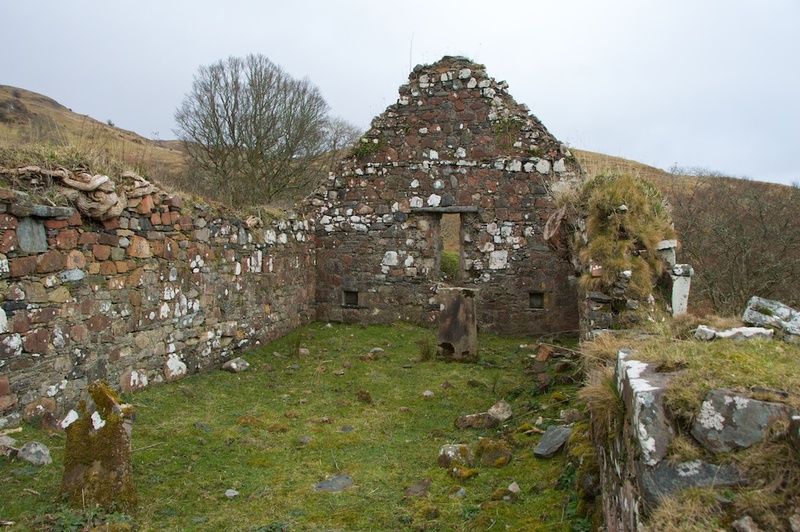 It was reported as being ruinous in 1678, and for the next 50 years local services were held in Ardchattan Priory, before a new church was built nearby. 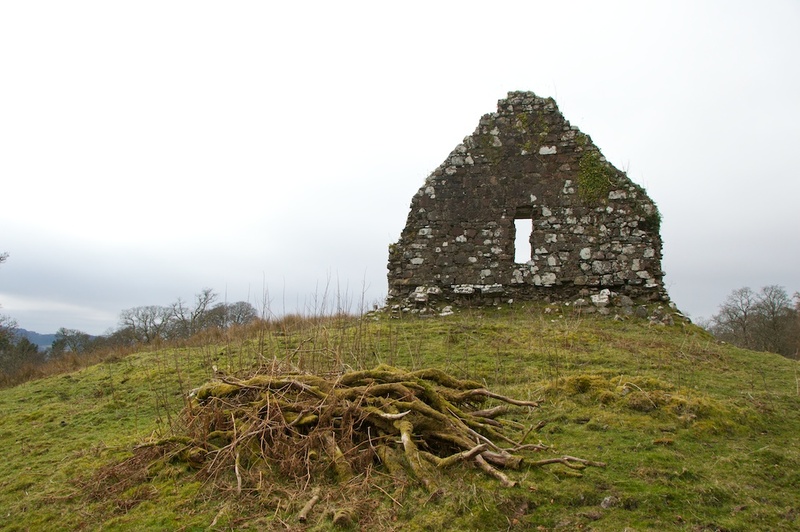 On the surface, it therefore appears that Ardchattan Priory was founded long before this little church was built, but by its name I wonder if the opposite is true. 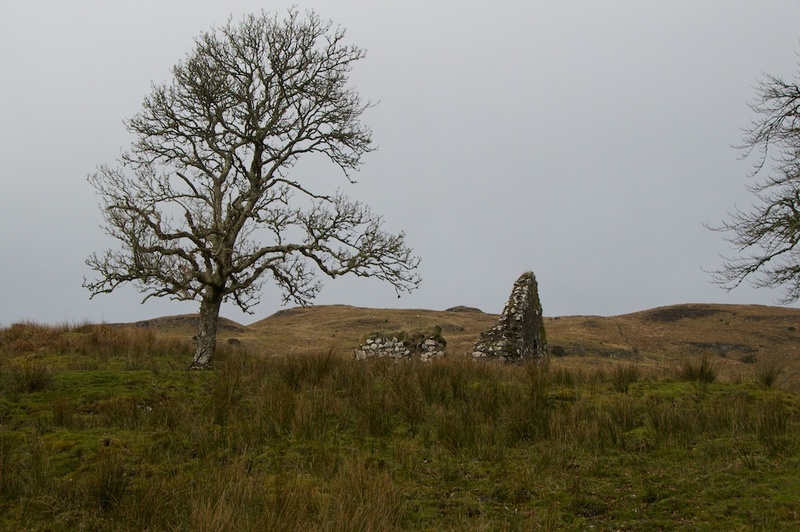 In the 13th century, something would have drawn the Valliscaulian monks to Ardchattan, and the presence of an ancient shrine and a holy well (Tobar Baodan or Baodan’s spring issues from the hillside nearby) would have held a strong appeal. But this is purely speculation. 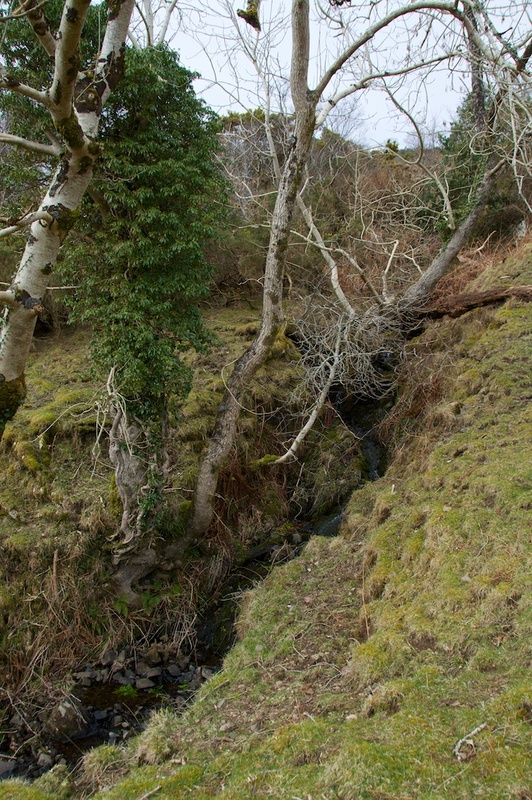 In the east gable wall, two aumbries or cubby holes can be seen, and the east window is still there, but that is pretty much it in terms of surviving features; instead, in the walls on either side, the trunks of dead trees bulge from the stonework, showing just how overgrown this place must have become when it was abandoned. 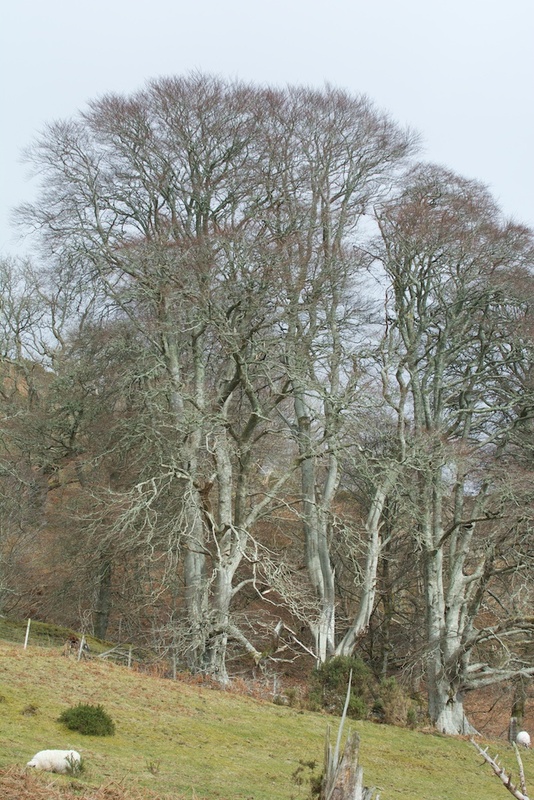 The branches may have been felled to preserve the structure, but it would be impossible to remove their trunks as the walls would come away with them. 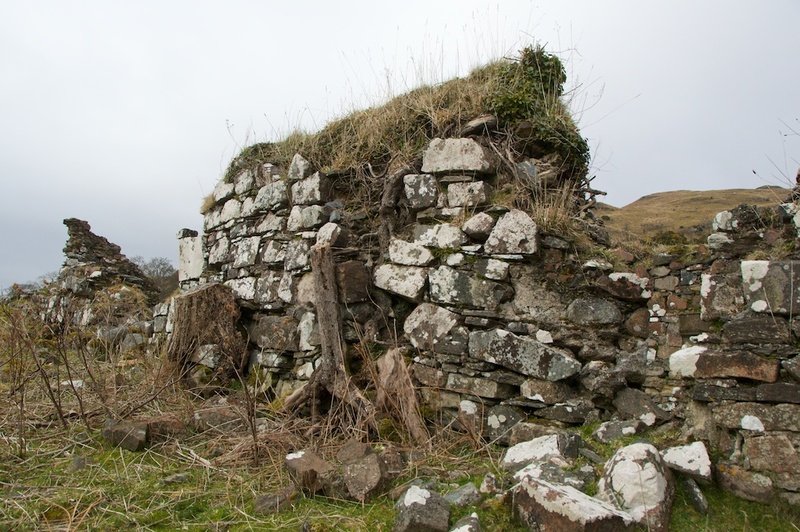 Most of the west gable has fallen since the date of an RCAHMS visit in 1980, as the surveyor noted “a window in each gable”. 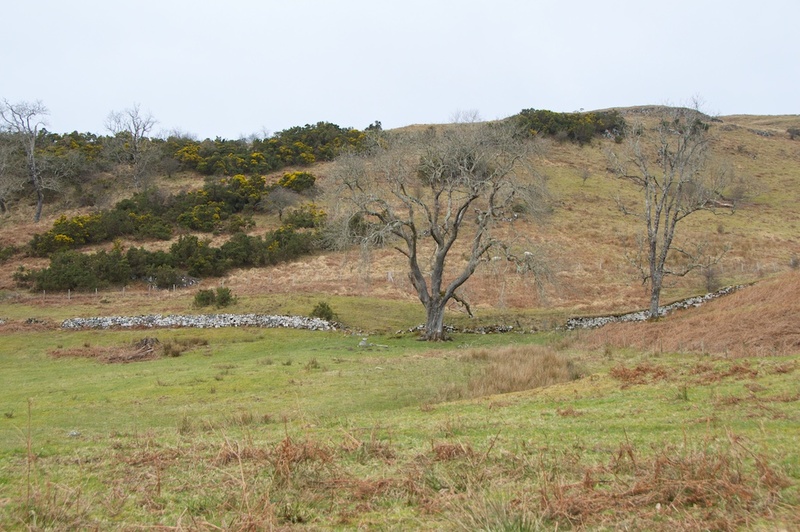 The walls are rubble-built, and I wonder if they were originally rendered both outside and inside, like the chapels at Keills and Kilmory Knap. 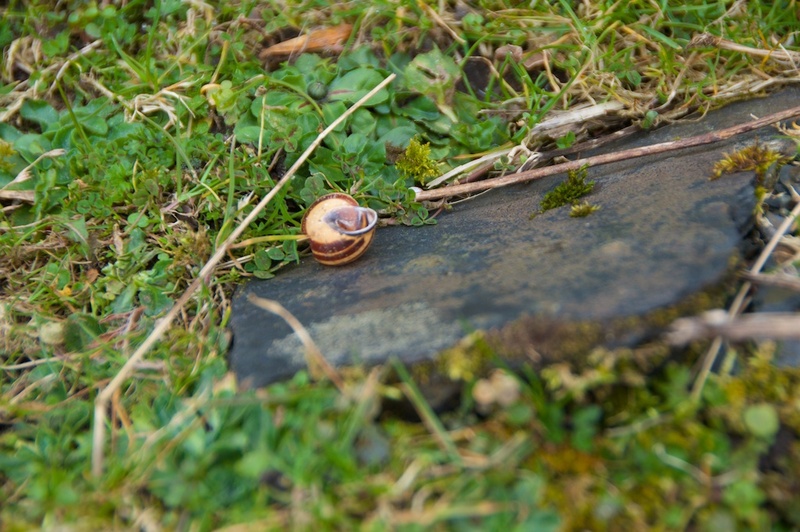 What’s left is a crumbling shell, lonely but not lifeless: ferns and mosses are softening the broken edges, and thrushes find the slabs very handy for tapping snails. Like so many of these old churches – roofless or otherwise – you can stand in the nave and feel the stillness. 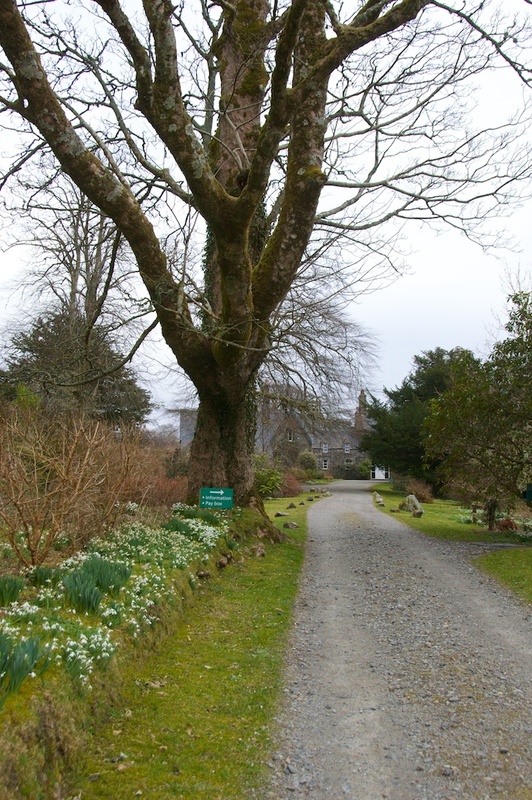 Looking on a large-scale map, I see the area around the church still bears the name Baile Mhaodain, which suggests that it was once the ‘place’ or ‘home’ of St Baodan. It’s possible that it still is. 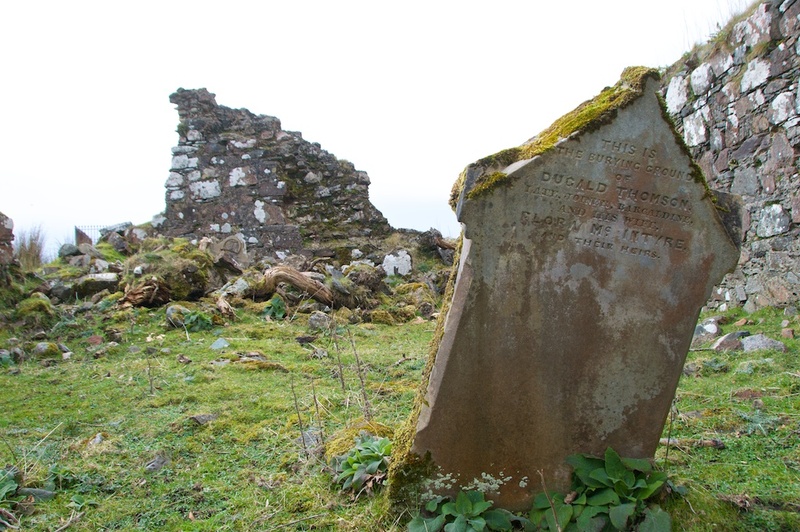 Footnote: I originally described this church as being dedicated to St Modan, assuming that the name derived from Baodan or Bhaodain, and it is indeed described as ‘Kilmodan’ in historical records. However, a reader has kindly pointed out that St Baodan and St Modan were two different men, and the confusion arose in the 19th century because of the similarity of sound in genitive mutations. My thanks to Gilbert, whose helpful comments you can read below. It’s a lovely thing, Scott, as you feel as if you’re getting to know the landscape in a wider sense. Having said that, I’m now re-thinking my original theories on the identity of St Modan/Baodan, thanks to a reader (below). 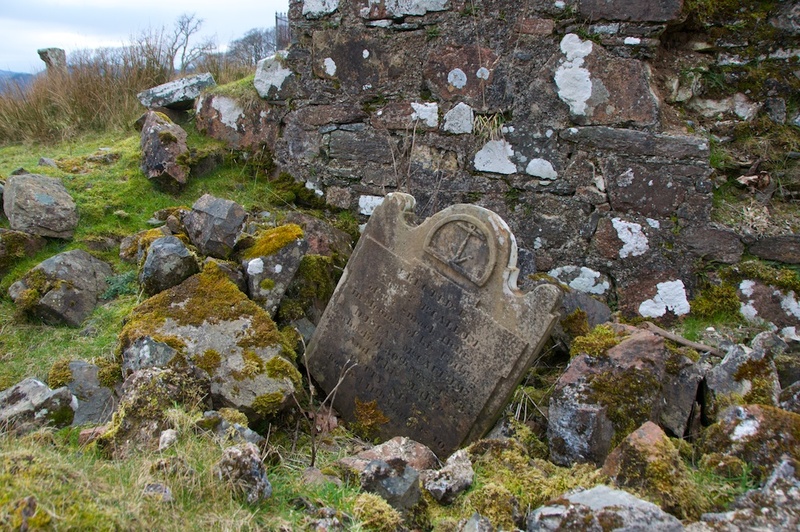 Lovely photographs, and interesting old gravestones. It looks very peaceful, just the sort of undisturbed location you might want as a final resting place. Thank you, Lorna! So blissfully peaceful, and I had the same thought while I was exploring the church and its gravestones. Thank you for your kind comment, and for the links! I have had a look at the Saints in Scottish Place-Names website but unfortunately the last two links only lead me to a ‘log-in’ page and it does not offer me an option to create an account. On the home page, a search for ‘Baodán’ turns up no results. So, is Baodán a different man from the one who founded Kilmodan at Glendaruel? 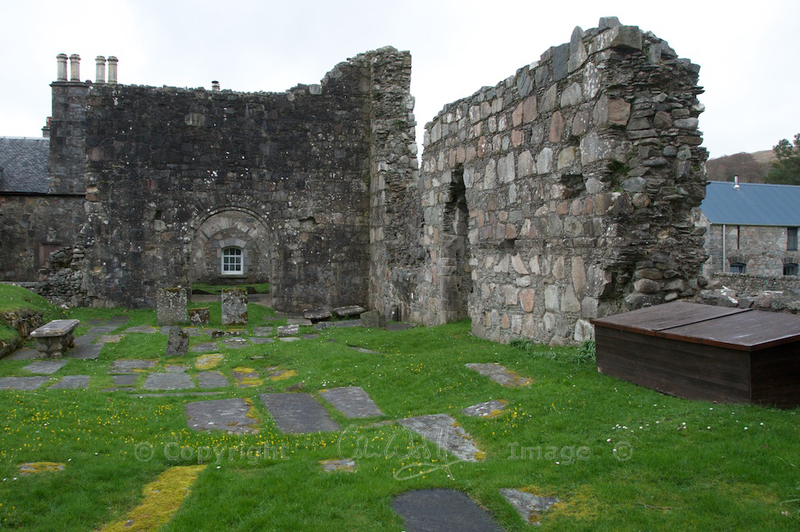 I see that the 13th century Priory Church at Ardchattan was dedicated to St Modan, which only confounds the issue. Any more info you could supply would be appreciated! PS I have now found St Baodan’s church on the Saints website and I have amended my text accordingly. So, looking at this page, there seem to be four saints with a possible link to the site. Interesting! Thank you again. Really glad you enjoyed it, Pat. Another quietly magical place. I know what you mean about the graves, and so many are lost altogether. 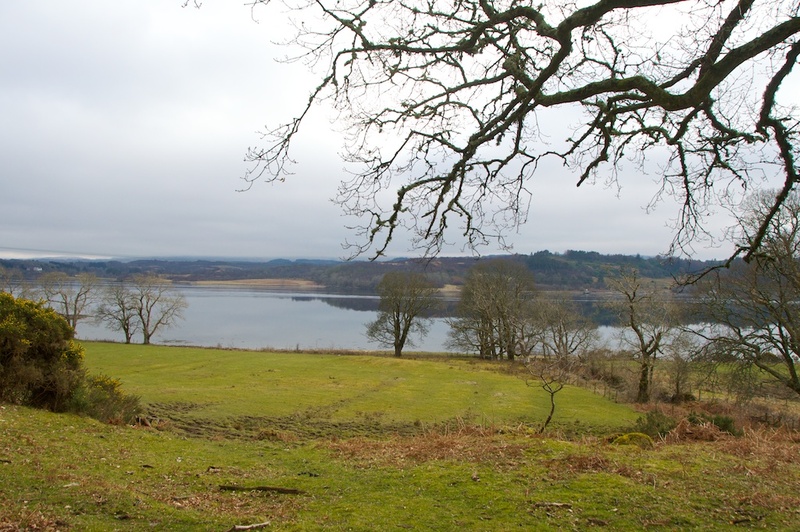 I can only say that they are in the most perfectly restful place, above an idyllic loch shore. But yes, you’d be kept quite busy with looking after them if you came over here! The tree roots are certainly beautiful, almost a part of the structure now. Nature is endlessly surprising. What a lovely comment, Elaine, and you are most welcome. When I know people love reading my posts as much as I love writing them (and visiting the places!) it really gladdens my heart. Places like this, and the Priory down below on the loch shore, are really special, for their almost timeless stories and their atmosphere. Thank you for your kind words, and wishing you a lovely Easter! I meant to go up there the first time we visited, Lynne, and in fact it’s quite hard to see the church among the trees from down there. But it’s so perfectly peaceful, with superb views, as you can see. These Irish saints chose some fabulous places, when all’s said and done! There is a 19th Century book written by Robert Herbert Story D.D. and Minister of Rosneath in 1878 about this place and its ancient saint.The book is called Saint Modan of Rosneath and it is available on Google Books for free. 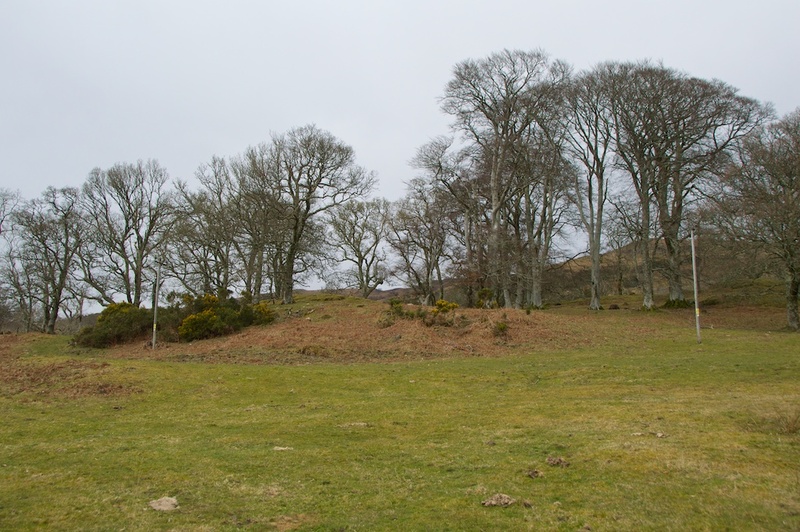 It explains many things about this ancient place including the fact that there were a two Saint Modans but only the one from Rosneath was connected to this site. The book is quite informative. Thank you for writing this article. Thank you so much for this link, and what a delightful book! I had initially assumed that the man associated with this site was the same as the one who founded the church in Cowal. 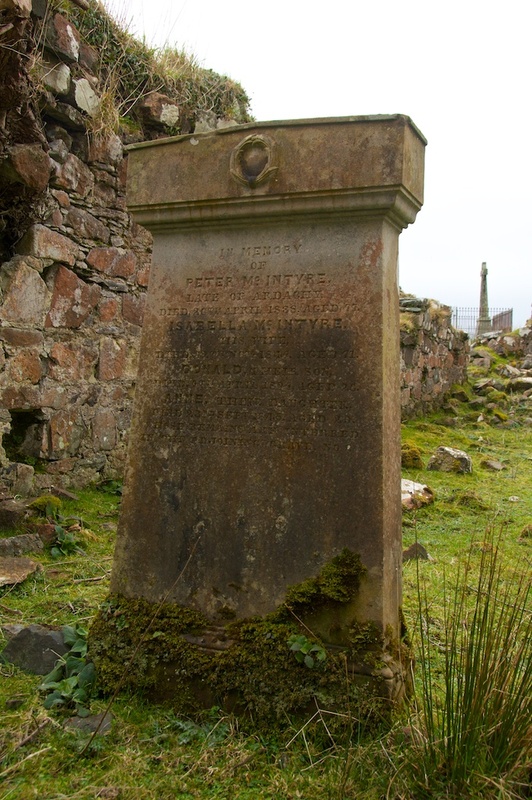 However, one reader (Gilbert, whose comment you can see above) is of the opinion that the saint’s name at Ardchattan is Baodan, and he explains that confusion arose in the 19th century over two different saints – Baodan and Maodan – because of the similarity of their names when mutated by the genitive. http://saintsplaces.gla.ac.uk/place.php?id=1324286529 From a scan of the book by Story, I do see what you mean – he suggests that there was another Modan, whom he terms ‘the western abbot’ in addition to Modan ‘the northern bishop’. If Baodan was a different man from either of these, I have yet to discover any more about him. 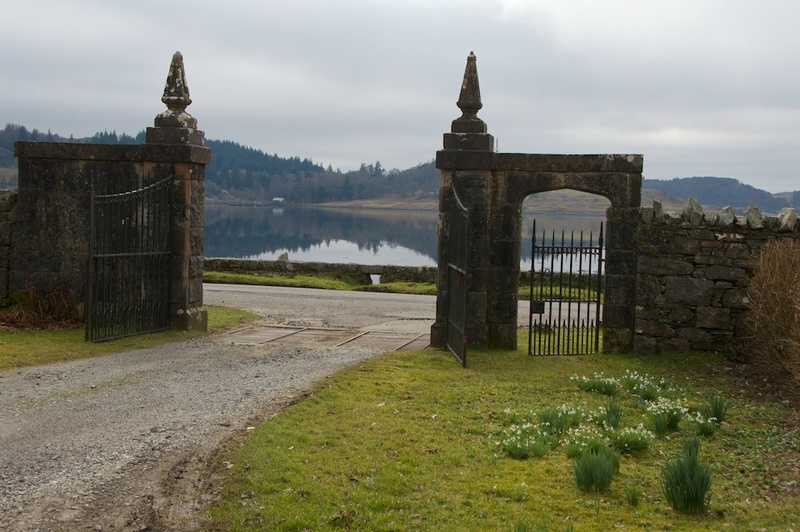 Meanwhile, I am enchanted by the legends of the ‘yellow bell’ and the boatmen of Loch Etive hearing its chimes, and the story of the serpent which appeared in the church doorway, and the possible origins of Clan Lulich. For me, the magic lies in old stories such as these, and I am looking forward to reading the book in full. Thank you very much again. Thanks, Andy. Loch Etive holds a very special magic for me. Not quite sure what it is. I loved discovering this little church! You are most welcome, Glenda! 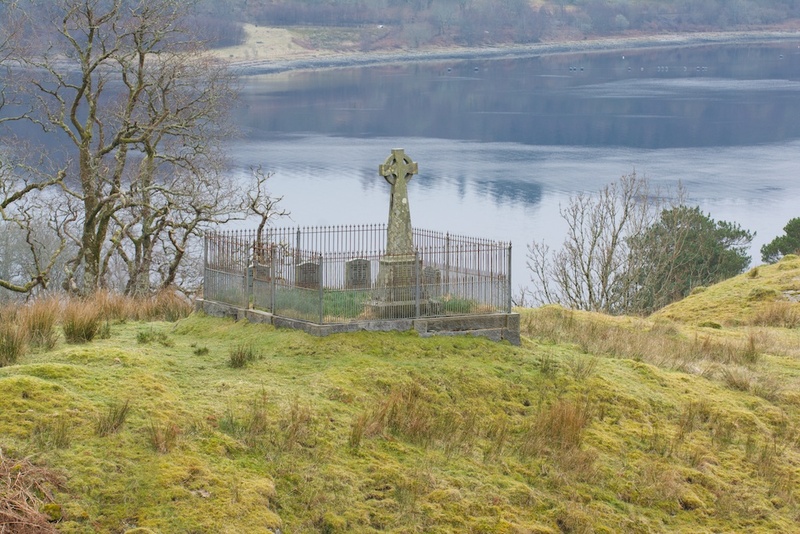 What a beautiful last resting place for Peter and Isabella – this little chapel at Ardchattan is one of my favourite places, such a feeling of peace which is hard to put into words. 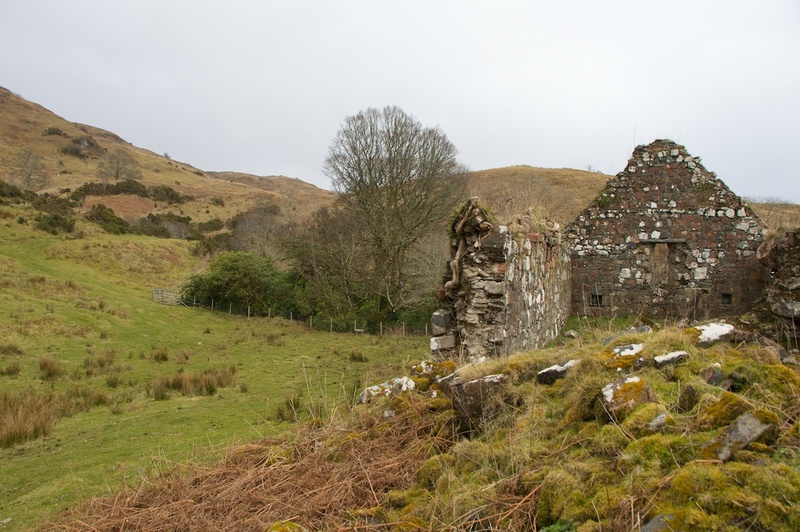 This is a wonderful study of our old kirk, We are beginning to bring together the history of the people and the places of the whole parish of Ardchattan, which is a large undertaking, and will take us all a lifetime! . Your images are just so great, is there any possibility you could share copies of your photos from this visit with the local history archive, which is entirely community based? We have descendants of the people whose tombstones you have captured so well..